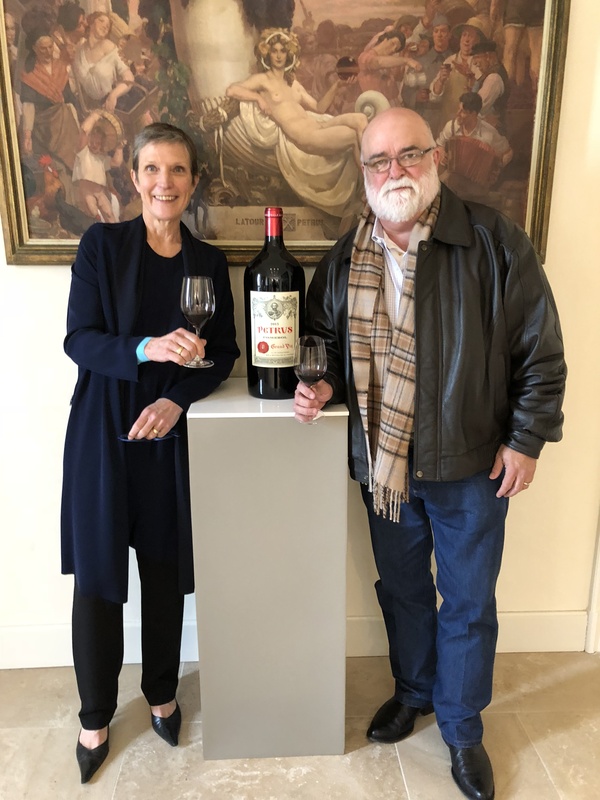 To the surprise of many, I just completed my twenty-second consecutive annual trip to Bordeaux to taste the new vintage en premier. I have a number of thoughts on the quality and style of the 2017 vintage which, like every vintage, was heavily influenced by the weather. To recap of the weather in Bordeaux in 2017: The year started dry and there was some early warmth leading to an early budding of the vines. Everything was looking good until disaster struck beginning on the morning of April 27 with temperatures as low as 25°F in some areas. The frost hit certain terroir and spared others. The left bank vineyards closer to the Gironde were mostly spared and many vineyards all over Bordeaux located on hilltops and plateaus were mostly spared. Vineyards in dips and valleys, on slopes and at the bottom of slopes were the most heavily affected. Within a couple of days, the frost effect was pretty well known. Some chateaux lost their whole crop. Others lost amounts ranging down from 100% of their grapes to having just a few rows or even a few vines affected. The frost freeze-burned the tender young buds and leaves. Frost affected vines either produced no grapes or a minimal amount of grapes from a second later crop set. A week after the frost, many of the most affected vineyards looked like they had been burned. Early summer brought some welcome rains that recharged the soils and energized the vines. July and August offered warm days and cool nights that ripened the grapes and burned off the pyrazines (natural compounds in grapes that can lend a green bell-pepper flavor to the finished wines) while maintaining the wine’s freshness and acidity. A wild card came in September rains that delayed the harvest, especially for Cabernet Sauvignon (the latest ripening of the major varieties). What does all that mean? Except for the frost, this was a fairly-normal, good but not perfect weather year in Bordeaux. Despite the sometimes devastating frost-related reduction in crop, the growers with better terroir were generally happy with the grapes they harvested and felt like they could make fine wine. And a great many did. For better or worse, 2017 will carry the stigma of being a frost vintage. The partially informed who stop there will likely avoid the wines. The more informed (that would be you if you keep reading) will likely find a number of wines that will make you very happy. So who made fine wine and who didn’t? Many but not all of the best terroir seemed almost exempt from the frost. Many of the lesser terroir were not so lucky. The band of vineyards running along the D2 road that runs north from the city of Bordeaux through the Haut Medoc were mostly either lightly affected or undamaged. Vineyards between the road and Gironde estuary fared the best but many vineyards just west of the road also fared pretty well. The further west the vineyard was, the more damage from frost. Moulis and Listrac were pretty much wiped out, as were parts of the Medoc AOC at the north end of the peninsula. In Pessac Leognan, the top properties fared fairly well but some of the lesser known sites took a hit, Carbonnieux lost maybe 30% of production to frost but next-door neighbor Haut Vigneau lost its whole crop. Parts of Graves and Sauternes were hard hit as well. Some properties in St. Emilion and Pomerol were mostly unaffected while others were wiped out. In Pomerol, Ch. Petrus and Ch. Le Pin were mostly unaffected while Clinet and Vieux Ch. Certan were lightly effected and La Pointe lost their whole crop. Ch. Nenin made a grand vin (1stwine) from un affected vineyards but did not make a 2ndwine as the vineyards that would normally go into Fugue de Nenin were fully affected by the frost. Some St. Emilion properties were un affected but two wines we but every year (Ch. Laplagnotte Bellevue and Ch. Grand Corbin Despagne) lost their whole crop. More common in St. Emilion were chateau with anywhere from 30-to-70 percent of normal production. Typical of this is Ch. Canon La Gaffeliere, Ch. Figeac, and Ch. Cheval Blanc, all of which are great terroirs that took a big hit in sloping areas that usually produce great grapes. Other areas were even less fortunate. Castillon, Francs, and St. Emilion satellites were hard hit as was Lalande de Pomerol. Most of the area between the Garonne and the Dordogne rivers (which produces mostly wines – red, white, and rosé – that sell for seven-to-fifteen-dollars-a-bottle was hard hit as well. There will be very little Bordeaux Rosé or Clairet from 2017. The best sites made the best wine even as some great sites were heavily affected by the frost. Dropping down the price scale, wineries normally making medium and lower priced wines were more likely to have made lesser-quality wines or no wine at all. Taking only the top 200 or so chateaux into consideration, 2017 will prove out to be an excellent vintage with more-than-a-handful of outstanding wines. When people in Bordeaux ask me about Hurricane Harvey, it’s easy to say that I was “unaffected.” After all we got no water in our house and our vehicle’s were undamaged, even though we were flooded in for a couple of days. But were we really unaffected. We had family and friends who did have a lot of water in their homes and who lost vehicles and personal possessions. And the effect on the city affected us as well. So while we didn’t flood, we were affected. The same is true of the 2017 frost in Bordeaux. While some vines froze and some chateaux lost some-or-all-of-their-crop (the primary frost effect), all the vines of Bordeaux were in some way affected by the cold. Even the vines that showed no primary frost damage were affected in that the cold stopped the vegetative growth of the vine which then had to restart and slowly regain momentum after, in most cases, a several day pause (the secondary frost effect). This growth pause may be at least partly responsible for the freshness and pretty red fruit character the best 2017 wines exhibit. Every year during en premierweek, the game is to compare the new vintage to some vintage in the past. This year the game was harder than it’s ever been. The last real frost vintage was 1991 but the frost in 1991 was more widespread and the farming and winemaking were nowhere near the state that they’re in now. From a qualitative standpoint, the better wines (classified growths and equivalent as well as top unclassified properties) produced in 2017 are in or more likely just above the range of 1999, 2008, and 2014 but not at the level of 2009-2010 or 2015-2016. Which is not to say the style is similar to these or any other vintages. In my experience, 2017 is unique. Like 1999, I think the wines are fresh and pretty and will drink well on release but the structure is different and the farming and winemaking now are decades ahead of 1999. Further, the temptation to over-extract was lower in 2017 than in any other recent vintage so the best wines offer a pretty red fruit character with purity and balance. Were there any over extracted wines? Apparently so from what heard about Pavie and Ausone to name a couple but that’s hearsay (as opposed to heresy) as I went to neither place and tasted neither wine. I did taste a few that were close (Pape Clement and Lynch Bages to name two) but none that crossed-the-line. So qualitatively 2017 (both despite and because of the frost) is enough above average to be considered a selectively excellent if not outstanding vintage. Buy with some caution but do buy (assuming it is priced right) this pretty, age-worthy, balanced, unique vintage. (What is priced right? That’s another game. I’d like to see the ex-cellars prices in euros at or maybe slightly above those of 2014 but not at the level of 2015. If the wines are priced too high, the vintage will not sell as futures.) Even though 2017 has its own unique style, if you enjoyed 1999 or 2008 or 2014, the better part of 2017 is a vintage to buy.And due to that frost, there will be less of it. In most vintages, many chateaux’s second wines mirror the style and structure of their grand vin, even if the mirror is a bit foggy. Foggy because the second wines have most often come from the estate’s lesser (a relative term) terroir and are generally made in a style that reflects the grand vin but in an earlier drinking, more approachable way. In 2017, a lot of the second wines are fresh and pretty but stylistically distinct and different. Some of the second wines were in short or very short supply and some weren’t made at all. Why? The terroir effect of 2017. More and more the second wines come from specific plots that make very good wines but maybe less good than the plots chosen for the increasingly selective grand vins. This results in the clos that makes the Grand Vin de Ch. Latour and Les Forts vineyards that make Les Forts de Latour and even separate Pauillac vineyards that (along with culls from the other two make the “third wine” Pauillac de Latour. In this scenario, Les Forts essentially becomes a separate wine rather than a “second wine.” The situation is similar for Carruades from Lafite. In the case of Croix de Beaucaillou from Ducru Beaucaillou, Ch. Moulin Riche from Leoville Poyferre and Clos de Marquis from Leoville las Cases, all are now (while sharing winemaking teams and facilities with their former siblings) treated as their own separate properties. Each of the two former Leoville properties now has its own second wine: M de Moulin Riche and La Petite Marquise. As these terroirs are generally lesser (again a relative term) than the greater terroirs from which they have been separated, the wines sell for less (but often not as much less than they did as actual second wines). What is different about these second wine terroirs? Almost invariably, they are cooler and somewhat more frost prone and in 2017 more likely to have been frost affected both in terms of primary frost damage and the secondary frost effect discussed above. Several factors are now in-play that are reducing the two decade lean toward over ripeness and the use of more extractive techniques. Part of it is the decline in the influence of Robert Parker and certain other critics. 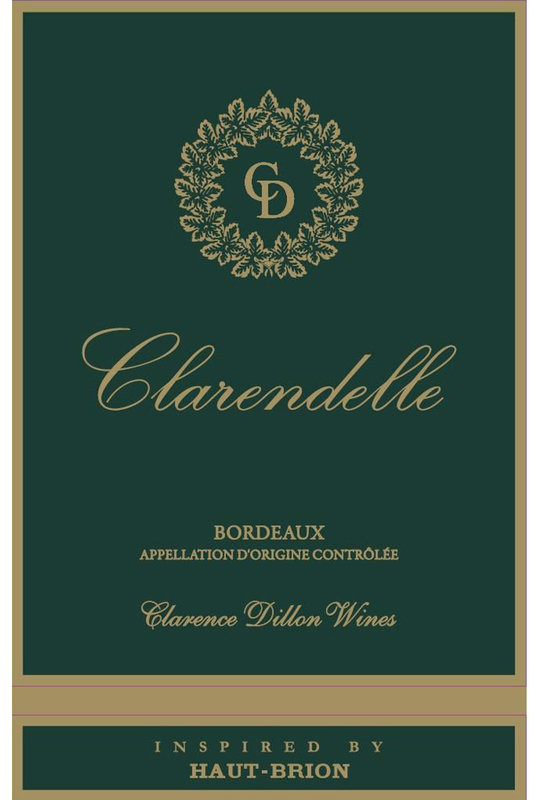 Part of it is a perception among some Bordelaise that this is a Michel Roland wine or that is a Stephen Derenencourt wine – as opposed to a wine of a particular place. 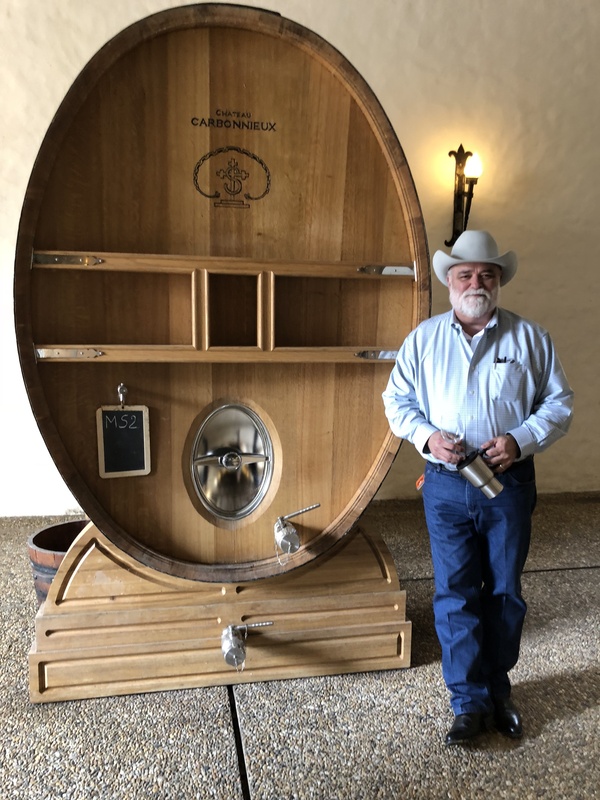 Part of it that better farming (a strong lean toward sustainable, organic, or biodynamic) is producing better grapes that producers now realize don’t need to be propped up by aggressive winemaking. Part of it is a bit more ripeness from warmer vintages. And part of it is a string of vintages that have not lent themselves to big extractions (while admittedly avoiding tasting a few notorious extracters). For all of these reasons, we tasted no wines this year that went over the top on extraction – and that’s a good thing. The 2017 wines seared in my memory were Haut Brion Blanc, Petrus, Le Pin, Margaux, Vieux Ch. Certan, Haut Brion Rouge, Latour, Lafite, Leoville Las Cases (the easiest to taste young las Cases in my experience), Ducru Beaucaillou, Pichon Lalande, Cheval Blanc, La Mission Haut Brion, and Figeac. No surprises there. 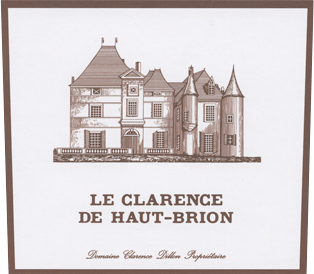 The most likely to be under-rated wines of the vintage are the so called second labels of first growth properties Clarence de Haut Brion, Les Forts de Latour, and Pavillon Rouge de Ch. Margaux, all of which are not only excellent but among the very best wines of their respective appellations. Also, no surprises. R de Rieussec, the dry white wine produced by Sauternes chateau Rieussec – comes across as a sort of baby Haut Brion Blanc (which is high praise indeed). Ch. Carbonnieux which made both a red and a white that are as good as I have ever tasted. Ch. Pedesclaux finally living up to the hype it got the last three years for the 2014 2015, 2016, and 2017. Sauternes second label Carmes de Rieussec offers a sweet but-not-over-the-top, delicious, and refreshing-with-good-acidity value sauternes in a style likely to appeal to much of the US market, maybe more than Ch. Rieussec’s grand vin. 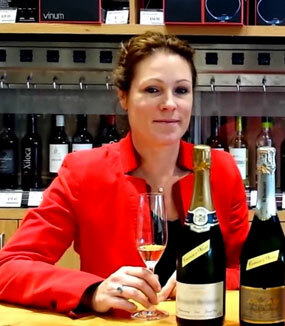 On Wednesday, April 18th at 7pm, please join me in welcoming Sophie Couvreur of Champagne et Villages to the Wine School at l’Alliance Française for a tasting of twelve estate-bottled Champagnes from her portfolio of grower-producers at Champagne et Villages. Champagne et Villages was created by Paul and Françoise Couvreur in 1998 and is now run by their daughter Sophie. Their business is dedicated to the promotion of boutique grower champagnes. Drawing on Paul’s extensive experience with over 20 years running and marketing major champagne houses, together they have selected a range of quality driven, passionate and individual champagne brands that mirror their own philosophy of quality and commitment. The family has established fantastic relationships with their grower producers – a testament to their desire to understand the family, their philosophy and practices as much as their wines. The CHAMPAGNE et VILLAGES Tasting will cost $50.00 per person (Cash or Check) or $52.63 regular. The class will meet at 7pm on Wednesday April 18 at l’Alliance Française. To purchase your ticket, please contact Susan at 713-854-7855 or coburnsusan2@gmail.com.